I really liked Bloodline. If you follow me you know that I read almost every Star Wars book that hits the market. This one is right up there with the best ones I've read. And it didn't really surprise me that it was. Bloodline is by Claudia Gray, the same author who wrote Lost Stars which is my favorite Star Wars book to date. 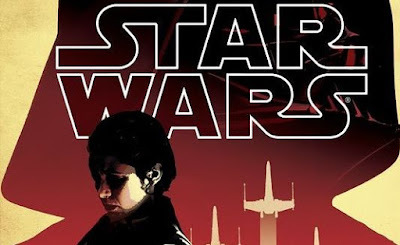 Bloodline follows Leia sometime about half way between Return of the Jedi and The Force Awakens. It fills in so much information about the politics of the New Republic, hints at the formation and structure of the first order, and let's us see a key point in Leia's political career. It's a fantastic book to start bridging the gap between Episode VI and Episode VII. While I'd love to learn more about what Luke and Ben are doing during this time period I never felt like this book had to go there. There are enough interesting events going on with Leia that I was captivated throughout. If you're a Star Wars fan I recommend reading Bloodlines. It's really good and it will give you more appreciation for events that happened on a galactic scale before The Force Awakens.